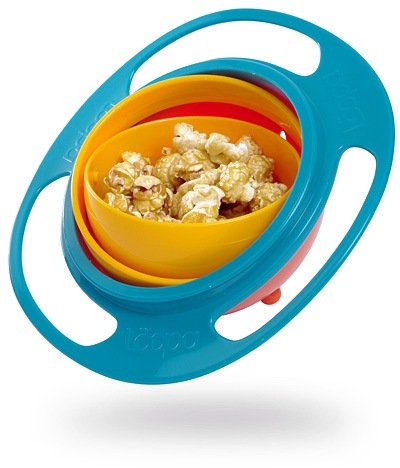 The Gyro Bowl solves food mess for parents when they see their kids make a mess out of themselves with their own food. No matter which way the handles of this bowl are turned, the food in the middle stays upright. Pretty clever. However, it doesn't have an anti throw mechanism built in. Too bad.